Axel Springer Plug&Play Accelerator was founded in 2013 as a joint effort between German publisher Axel Springer SE and the Plug and Play Tech Center, an accelerator founded in California. Three times per year, the Accelerator offers a three-month program to startups whose projects are accepted from among the many applicants. During the event, Investment Manager Bettine Schmitz explained that startups chosen for the program are given office space in the Berlin Accelerator location, €25,000, coaching, workshops, and access to networking and mentoring events. At the end of the three-month program, startups participate in a Demo Day, which allows them to present their project in front of an audience of other startups and potential funders. Schmitz added that, after each program ends, Axel Springer Plug&Play Accelerator becomes more active in helping the startups get investors. While the Accelerator serves as the “first investor”, they help startups find the next “first investor”. The graduated startups must file regular progress reports in order for the Accelerator to continue inviting them to events. 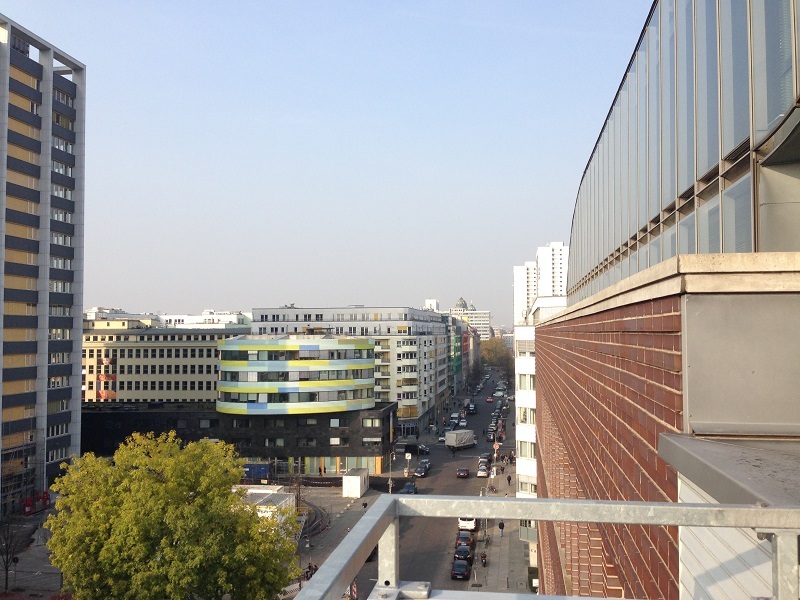 View of Markgrafenstrasse from roof deck of Axel Springer Plug&Play Accelerator building. As an example of a successful startup that completed a three-month program through the Accelerator, Schmitz introduced Charlotte Specht and Mario Rueda, co-founders of Book a Street Artist. The two founders described their own experience in the Accelerator program, as well as how it helped them firmly establish their business. Book a Street Artist helps bring independent artists and performers together with individuals and businesses. For example, a business looking to book a local band for an event, or a homeowner who seeks a visual artist to create a personalized work of art for a specific space in their home. The business started in the Portuguese market (Lisbon), and has expanded into the German market (Berlin, Köln), with plans to further expand to England and the United States. 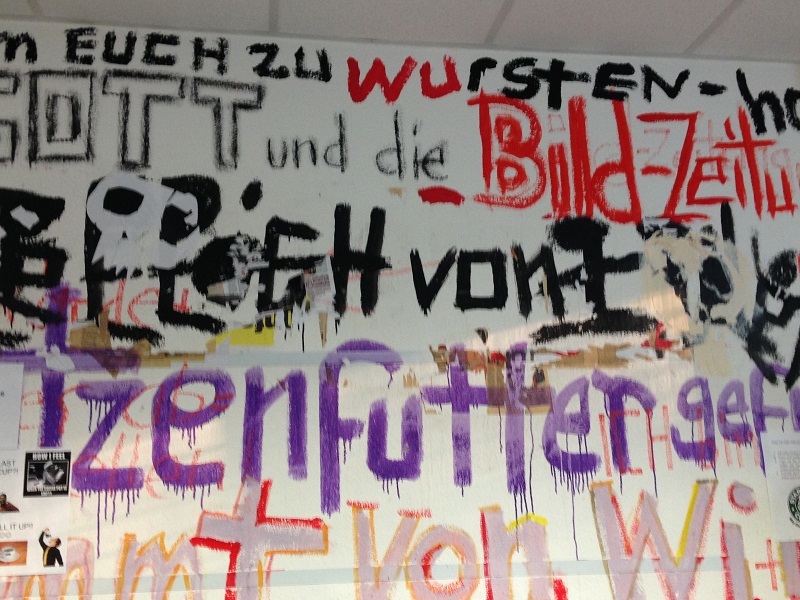 Book a Street Artist publishes an online magazine, Panta, as a way of showcasing the artists registered with them. The company gets a 20% commission on each booking. Specht and Rueda said the most important thing they have learned during the process of establishing their startup is to talk to the people you want to work with. They said they received great insights and ideas just from talking to the artists and users about what was important or not important, and how the process could be improved. Axel Springer Plug&Play Accelerator live-broadcasts Demo Day presentations via Periscope. If you are interested in an accelerator program, or would like insights on how to give presentations to potential investors, you can sign up for the Accelerator’s newsletter via their website, or Like their Facebook page (https://www.facebook.com/AxelSpringerPlugAndPlay/) to receive announcements for upcoming events. Next > Thanks for a Great 2015!